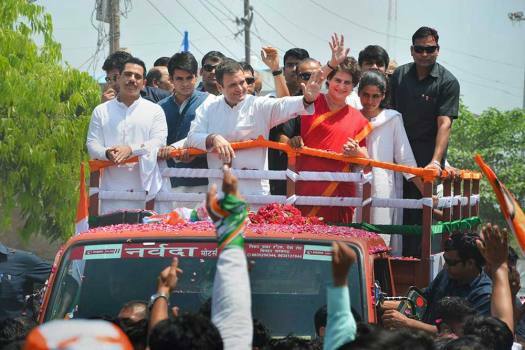 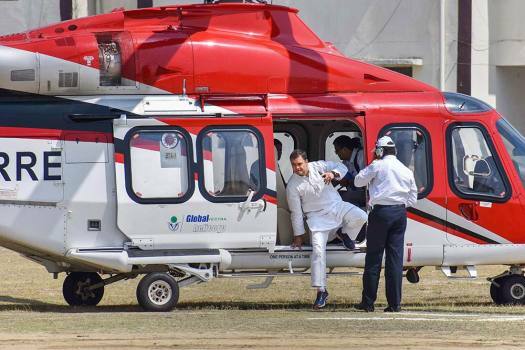 Congress President Rahul Gandhi arrives to file his nomination papers from the Amethi Lok Sabha seat, ahead of the general elections, in Amethi. 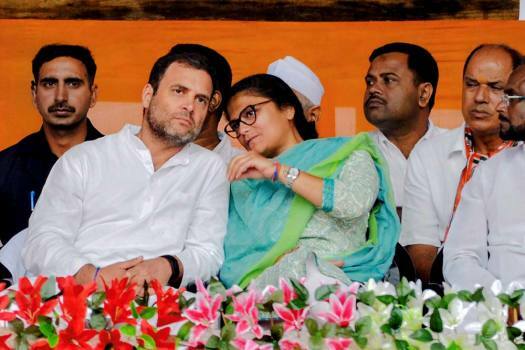 Congress President Rahul Gandhi with party candidate Sushmita Dev during an election campaign rally, ahead of the Lok Sabha polls, at Panchgram in Silchar, Assam. 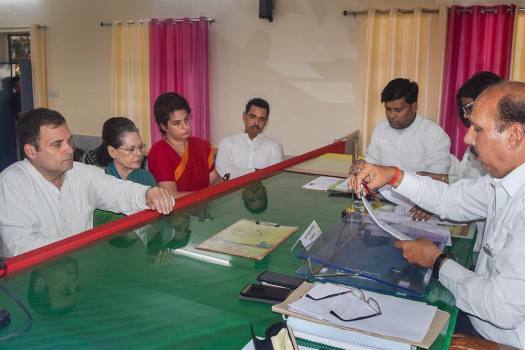 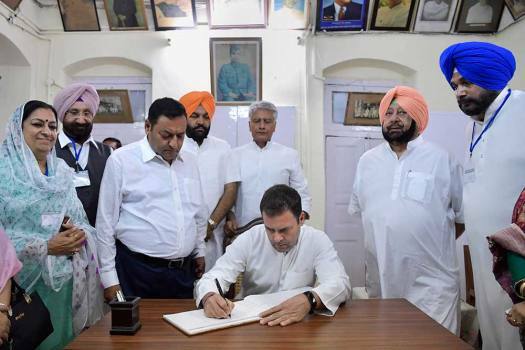 After hearing Rahul Gandhi's counsel, Returning Officer Ram Manohar Misra declared his nomination papers for the Amethi Lok Sabha seat as valid. 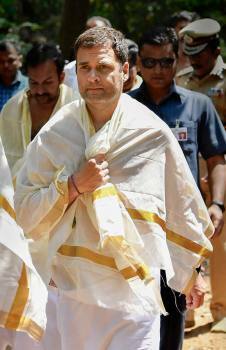 The Supreme Court on April 15 had directed Congress president Rahul Gandhi to give his explanation by April 22. 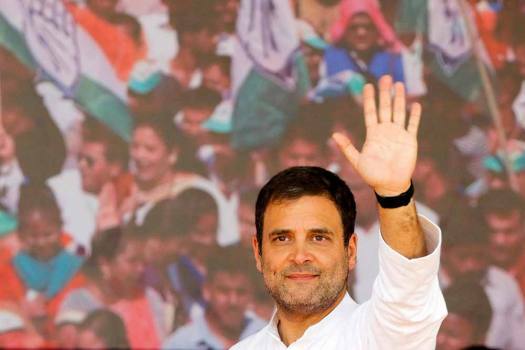 In a survey carried out on April 19, voters were asked that if given a chance to directly elect the Prime Minister of India, whom will they choose between Congress' Rahul Gandhi and BJP's Narendra Modi. 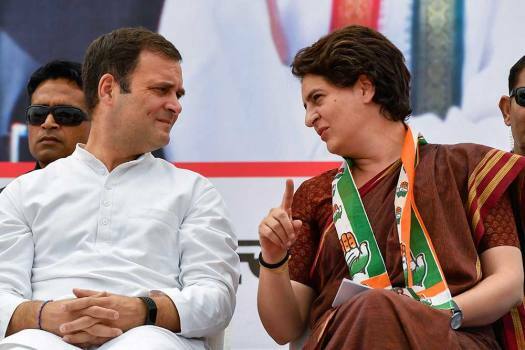 Priya Dutt, former MP and Congress candidate for Lok Sabha elections from Mumbai North Central, speaks to Outlook about her party's promises and present challenges before the country. 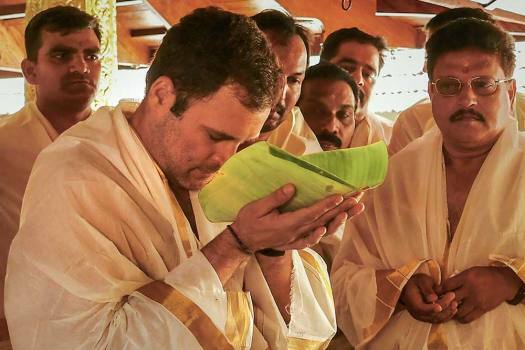 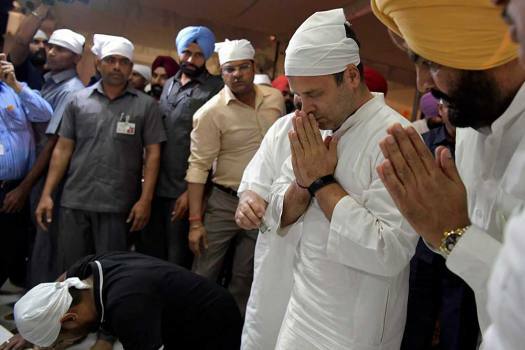 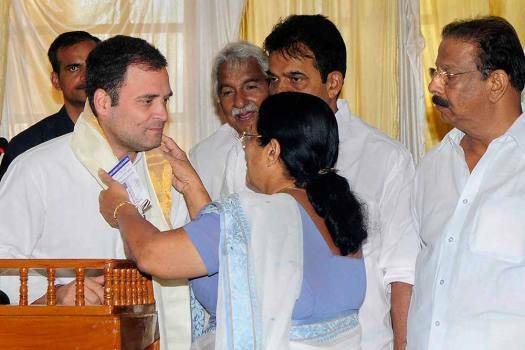 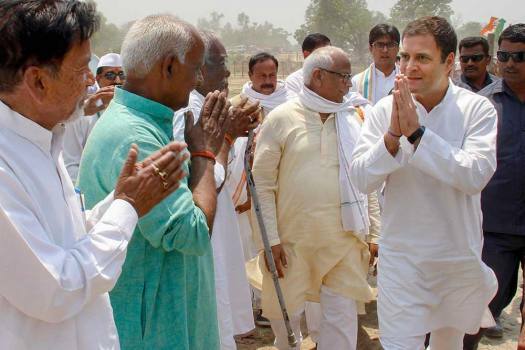 "Nyay" is also the social welfare scheme announced by the Congress party in its election manifesto that promises to pay Rs 72,000 per annum to families living below the poverty line. 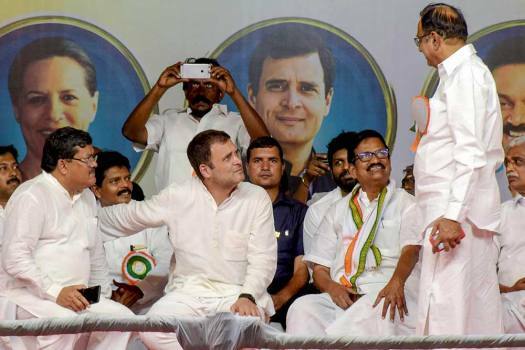 Congress president Rahul Gandhi’s decision to contest from Kerala’s Wayanad has opened up a whole thick rainforest of debates. 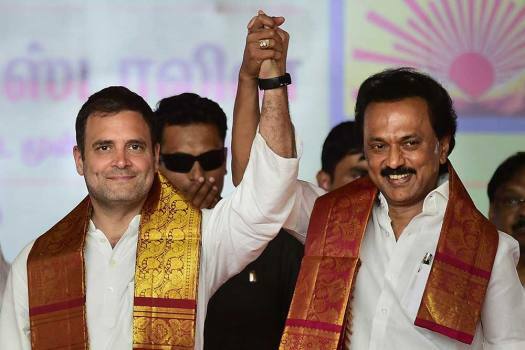 As election season looms large, there is a race among political leaders to grab the spotlight. 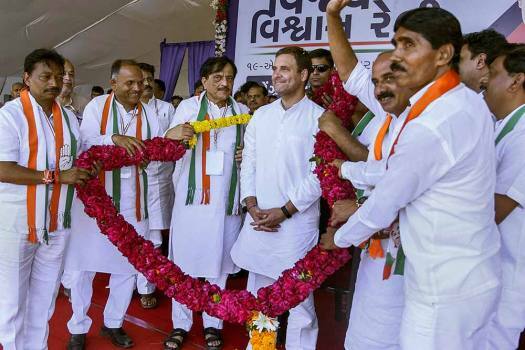 The way the Congress party handled the selection of new Chief Ministers for the Madhya Pradesh and Rajasthan, it suggests that the 'high command' culture in the party may have given way to more inner-party democracy. 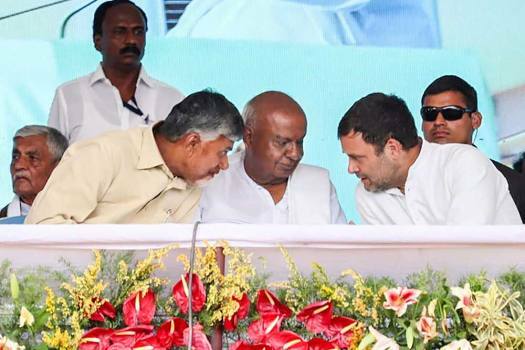 The same cannot be said for the BJP. 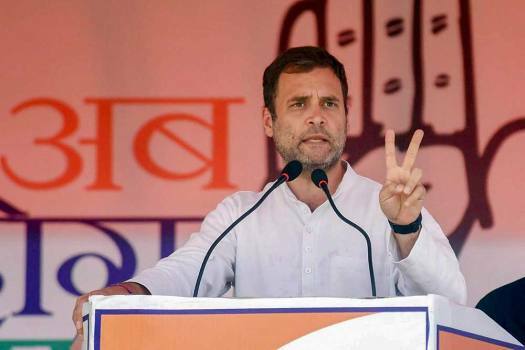 Should Rahul Gandhi Say He Is Not A PM Candidate? 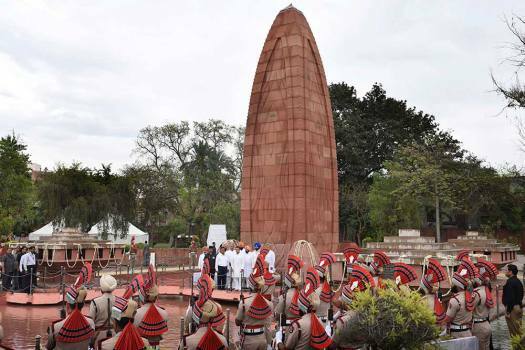 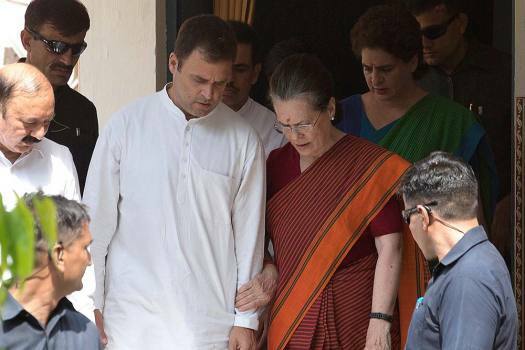 We must accept that the Gandhi family has sacrificed more for this nation than the leadership of any political party. 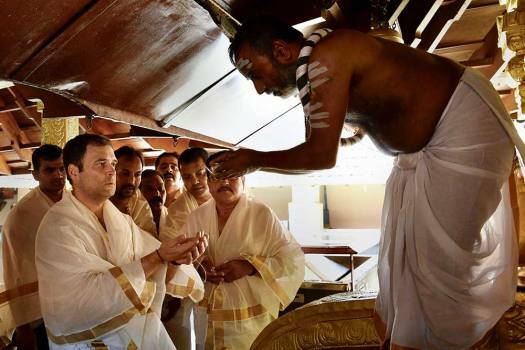 Would their prestige be restored by another act of sacrifice and renunciation?